Qualified Expertise – Picture Perfect Handyman has been working with brick and cement for over 6 years. They have the expertise and skills to build and repair a variety of structures including steps, walkways, driveways, patios and more. Picture Perfect Handyman can repair existing masonry work, and perform chimney repair to ensure it functions properly. They work with a variety of materials including bricks, blocks, stone, pavers, cement pavers, and others. Installing any type of masonry structure at your home offers a variety of benefits including protection, savings, low-maintenance living, and value. Masonry work by Picture Perfect Handyman are fire, weather, and termite resistant. Installing masonry protects the home from fungus, mold and rotting. It offers superior soundproofing, and is an environmentally friendly "green" product. However, for any do-it-yourself, it is a challenge to install. It requires the artful touch and years of experience of a professional skilled craftsman. Affordably Priced – Picture Perfect Handyman realizes the traditional pricing of masonry installation can be beyond the reach of most homeowner's affordability. 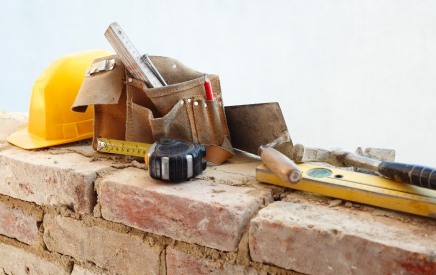 Alternatively, Picture Perfect Handyman offers affordably priced masonry services to fit any budget. Satisfaction Guaranteed – Picture Perfect Handyman stands behind all of their installation work, and provides a full-service satisfaction guarantee. Call Picture Perfect Handyman at (661) 457-5991 for your free over the phone quote, to see exactly how much your household can save on masonry services.